Today, Nintendo has provided new information about the anticipated games Pokemon X and Y. 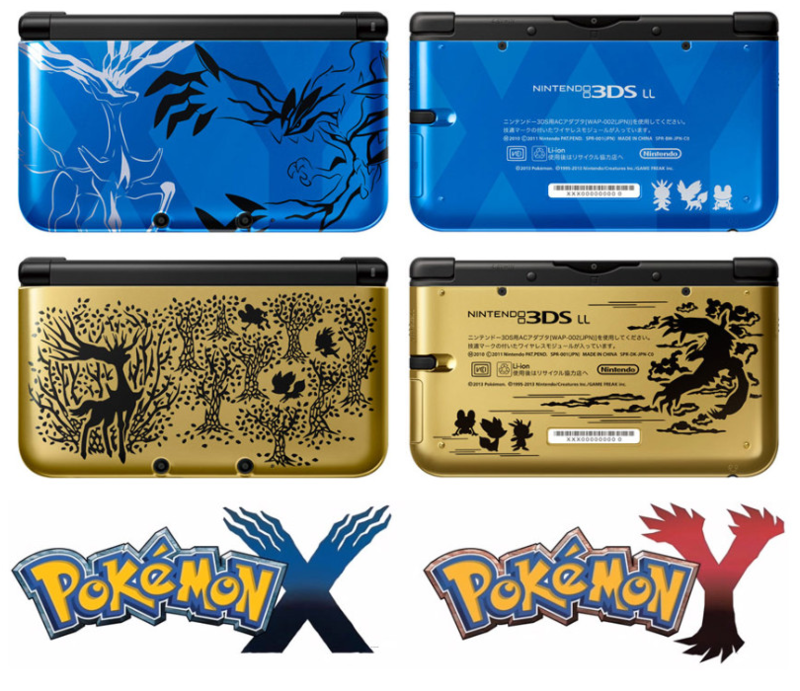 They have shown special designs inspired by the game, which will be offered in Japan for the Nintendo 3DS XL. The designs are inspired in Xerneas & Yveltal; the legendary Pokemon of the game that are representing the blue and gold colors. For now, the two special editions will be available only in Japan, each costing about 22,800 yen. Each console includes a 4GB card and Pokémon X / Y already pre-installed, along with 6 AR cards! They have also shown a new trailer of three minutes where we can see the new region inspired by France and the new Fairy type in action, which is very effective against dragons.